For much of his early life we were starting to think he might not be too great at doing anything, but tracking came along and he loves that. He also loves to jump and has plans of getting into agility or jumping when he grows a brain. 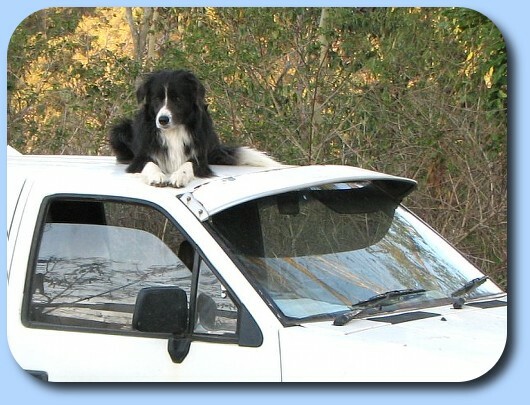 Duke also keeps a close eye on the car and makes sure it goes nowhere without him if at all possible. For more, see the Dukhat Page.